Actors Rosa Paseiro, Daisy Fontao and Marta Velsaco (in blackface) in "Tres Viudas en un Crucero." 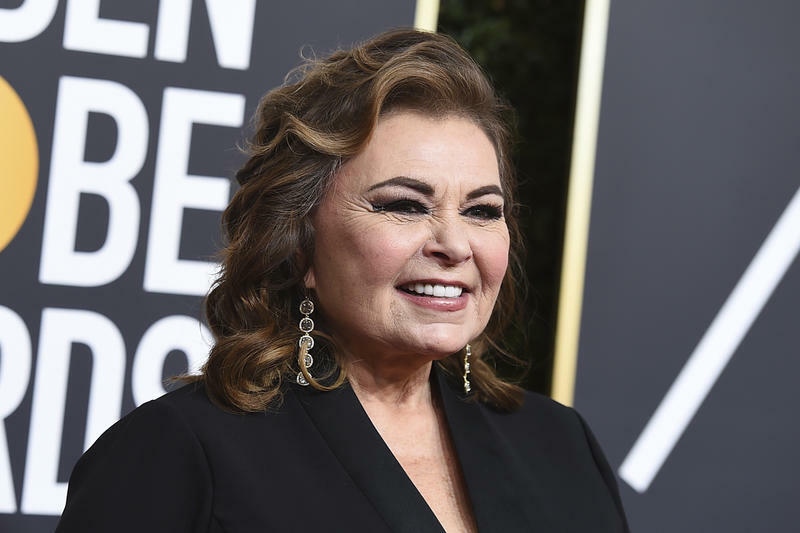 Days before ABC canceled Roseanne Barr’s sitcom this week because of her racist slur on Twitter, a Little Havana theater had to cancel a racist slur onstage. 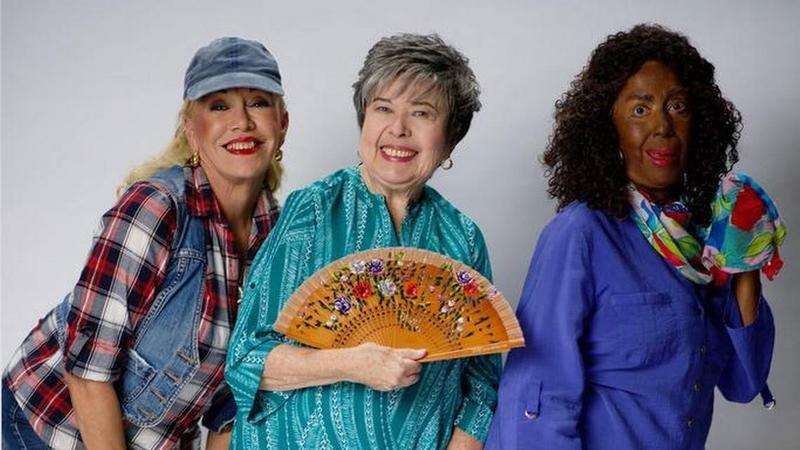 This month’s reporting by El Nuevo Herald’s Brenda Medina shone a spotlight on the use of blackface in the popular Spanish-language comedy “Tres Viudas en un Crucero” (“Three Widows on a Cruise”) running at the Trail Theater on Southwest 8th Street. Last weekend the directors finally cut that clueless and insensitive pockmark out of the play. The Afro-Cuban character in “Tres Viudas” will no longer be played by a white actress wearing caricaturish black wig and makeup – and the production will no longer haul us back to the days when this sort of racist parody was acceptable. READ MORE: Latinos for Trump: What Were You Thinking? In 2018 some if not much of Miami’s Cuban community still seems to think blackface is benign, good-natured humor. “Tres Viudas” has played to sold-out crowds since opening in January, and a glowing review in El Nuevo Herald called the blackface performance “masterful.” Few in the audiences, young or old, were bothered by it. And that raises concerns not just about Latinos’ denial of racism in their midst. It raises red flags – much as Barr’s tweet did – about the sort of cultural isolation that often fosters that denial. The Little Havana blackface episode raises concerns not just about Latinos' denial of racism in their midst. It raises red flags about the sort of cultural isolation that often fosters that denial. 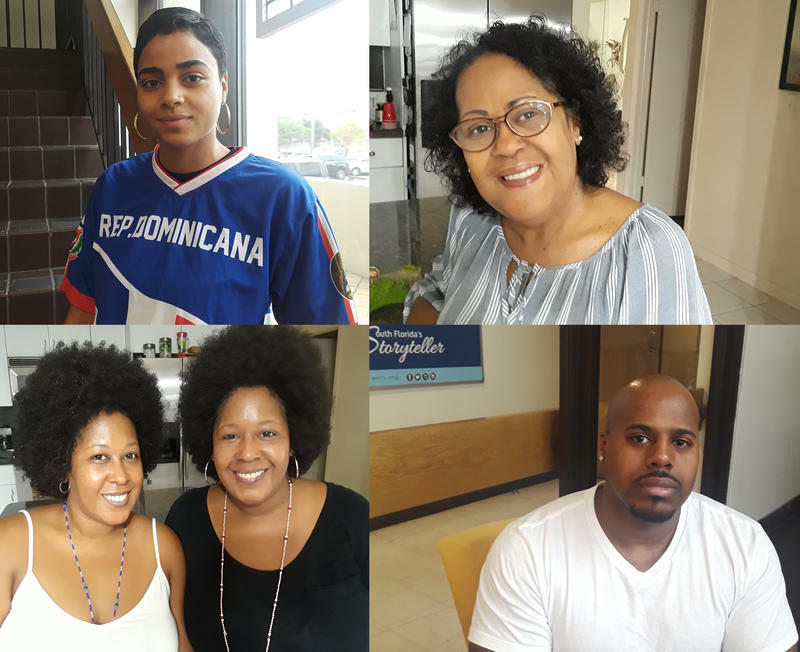 As WLRN’s Nadege Green points out in her own cogent report this week, black Latinos are all too aware that too many white (and brown) Latinos still dismiss the idea of Latino racism. That's true of Cubans who applaud blackface on Calle Ocho as proof that they include Afro-Cubans in their lives (they generally don’t); it's true of Brazilians who hold up Pelé as proof that their pátria is a racial utopia (which is like white Americans pointing to Michael Jordan as proof U.S. cops never target black men). But there’s another nagging facet to this. I'm bilingual, so I don't feel under siege if I walk into a store in Miami and get greeted in Spanish. Or Creole. Or Portuguese. I welcome it, actually. But I admit I do worry about the larger context that sometimes underlies those Spanish-only moments. It’s what I refer to as Miami’s “Cuban Cubicle” – the tendency here for communities, Cuban or otherwise, to let their admirable cultural pride slide into troubling cultural seclusion. You could also call it the snagged thread in Miami’s richly diverse tapestry. Not so long ago, one of the legendary boasts of Little Havana was that you could be born, live your life and die there without having to speak a word of English – or, for that matter, having to engage a single non-Cuban. But that enclave strength was also a pitfall. In those days, Miami’s mostly Cuban Spanish-language radio hosts got away with the sort of slurs – including cruel ridicule of then Attorney General Janet Reno’s Parkinson’s disease during the 2000 Elián González episode – that would have made the FCC’s hair stand on end. If the FCC had been bothering to listen in. It wasn’t. Free passes like that emboldened the insular Cuban Cubicle – the echo chamber that Little Havana was back then and, to a certain degree, apparently still is. In the 21st century, theaters don’t sell out comedies that feature blackface unless their patrons still inhabit a bubble. In this case that means the mythical, pre-Castro Planet Cuba where every day was a Benny Moré song, every white family lived in a mansion – and every Afro-Cuban surely thought blackface was a knee-slapper, right? I worry the same nostalgic reclusiveness marks the other large – and largely white – Latino communities here, from Colombians to Puerto Ricans and especially Venezuelans, who’ve made Doral the new Little Havana. And before you shout, Oye, idiota, the whitebread gringo community you hail from is just as guilty of this as Latinos are – that’s exactly my point. The kind of flip bigotry Barr tossed off this week festers in the kind of white, MAGA, Fox News solitude she occupies. So do ignorant assertions like the one Florida congressional candidate John Ward made last week – that we shouldn’t let Puerto Ricans register to vote. If Latinos don’t like the John Wards of this country dissing them that way, then…don't act like the John Wards of this country. 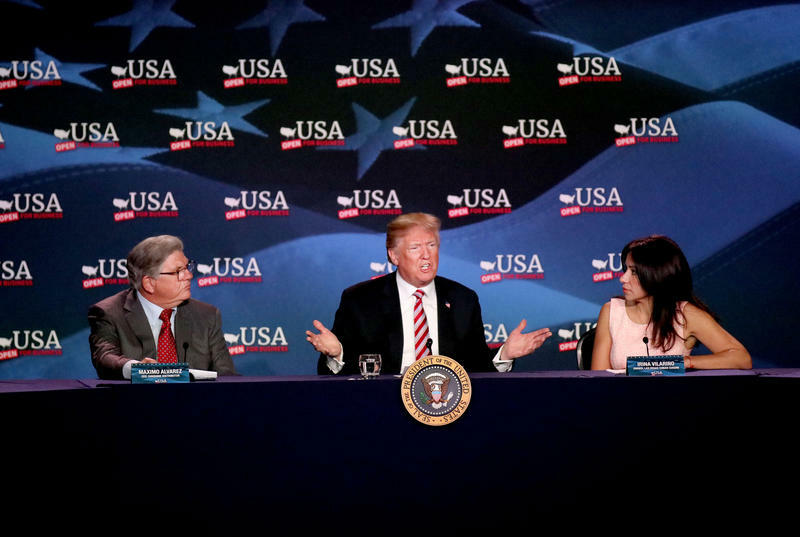 President Donald Trump visited South Florida Monday and heard Cuban-American business owners heap praise on him for his $1.5 trillion tax cut package.